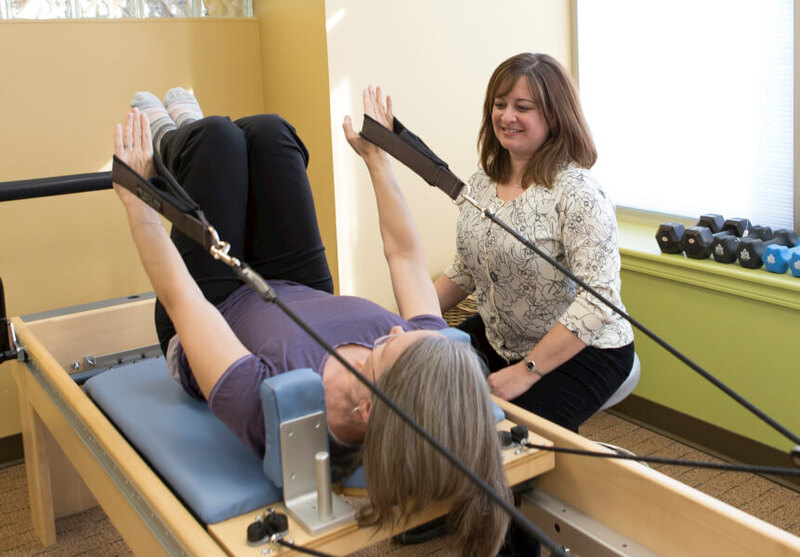 Did you know that Ascension Physical Therapy is one of the few places in Anchorage that has a Pilates Reformer? The Reformer is a great piece of equipment that is appropriate for people of all ages or fitness level. It allows you to exercise in a low impact and partial weight bearing manner that is often needed with physical therapy rehab. The Reformer allows you and your therapist to work on developing finely tuned core strength, flexibility, and body awareness and is appropriate for people with lower back pain, recovering from surgery, sports performance, and general fitness.